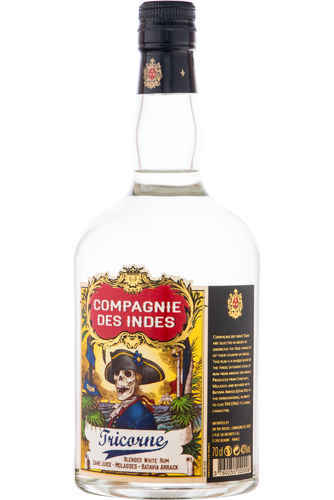 A recent addition to the rum world, Compagnie des Indes has made a splash by harking back to times long past. Known for sourcing some of the very best single cask rums around, from as far afield as Indonesia and Fiji, this exciting new brand is a must try for all rum drinkers. Created by Florent Beuchet of France, the company pays homage to the British, Dutch and French East India Companies of the 1700s, who often were the first to introduce exotic and extraordinary products and produce from far flung lands. Among these was, of course, Rums from the Caribbean and the far east. Beuchet is from a storied spirits and wine family, with his father the owner of not just a winery, but also the Emile Pernod Absinthe distillery. Beuchet himself was previously the Brand Ambassador for Banks Rum in New York City, a role he held for two years, so you can expect him to know a thing or two about quality rum and spirits! Compagnie des Indes are notable for taking the principle of terroir (a term used in the wine industry to describe the unique qualities that landscape and location bring to a finished product) to the world of rum. Their single barrel rums feature on the label the country of origin, as the country aspires to reflect something about each producing nation in every rum they bottle. As an added bonus to drinkers, their single barrel rums are free from additional caramel colouring, and are often bottled at a higher than average ABV, which truly allows the flavours to come through. Aside from their stellar single barrels, the company has produced some excellent blended rums too, such as their Caraibes blend. 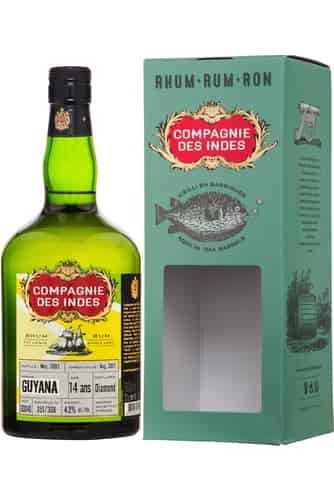 This bottling is comprised of a quarter each of Guyanese and Bajan rum, with the remaining half made of Trinidadian rum. All of which are column distilled. The blend has had some caramel added, along with a little sugar syrup. Drinkers should note that whilst bottles feature the word "rhum", not all their bottlings are "Rhum Agricore", indeed, the vast majority are distilled from molasses. A truly global rum company, Compagnie des Indes springs forwards through looking back, and drinkers are the better for it!